With funding from the Fillmore County Statement Health Improvement Program, the Root River Trail Towns organization has partnered with several cities to create a Bike Share program. Participating communities include Harmony, Preston, Fountain, Peterson and Rushford. Each community was granted five to seven adult bicycles, helmets, locks and a bicycle rack; however, each community has a slightly different means of lending out the bicycles and helmets. 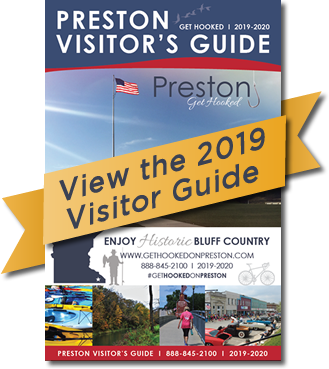 Gabby Kinneberg, Preston Root River Trail Towns Representative, and Fillmore County Public Health Educator, Brenda Pohlman, are coordinating the effort in Preston. 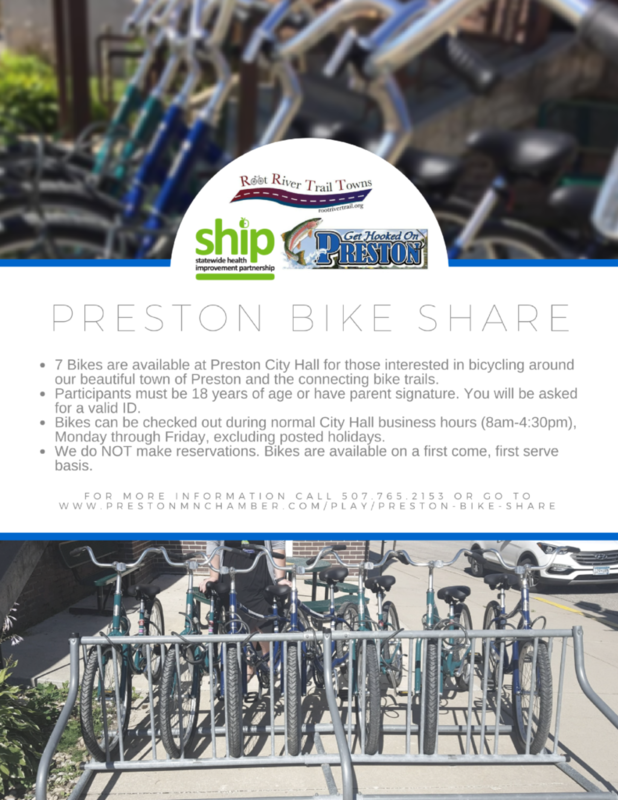 The Bike Share of Preston will operate out of City Hall—during the hours of operations of the city office (8am-4:30pm) during warm-weather months, typically April through October. Bicycles will be issued to people over the age of 18 with a state-issued driver’s license or identification card and upon completing the required lending documents. Participants may use the bikes free of charge and they can bring their own helmet or if they do not have one, one will be lent to them with their bike. 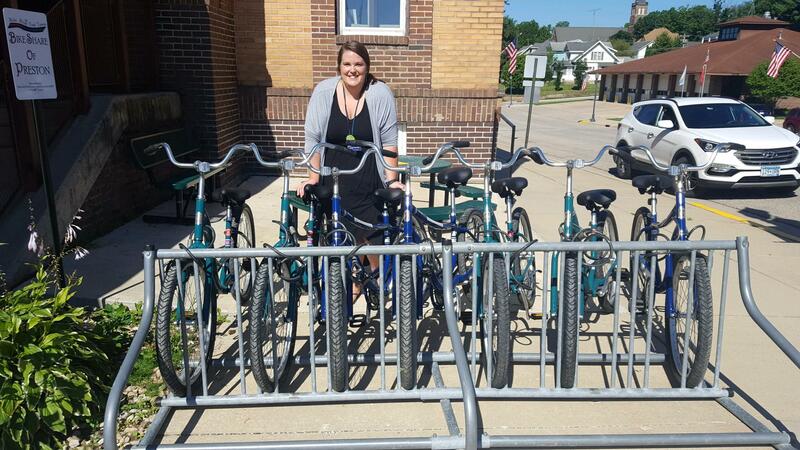 The intent of the Bike Share program is to offer residents and visitors the opportunity to use a bicycle, free of charge, to explore our cities and the Root River Trail. The roll-out of the program in Preston was held on July 31st at the “Pitch the Commissioner” event at the Preston Pool/Shelter. The Minnesota Health Commissioner was there to take ideas on how to make Fillmore County a healthier place to live. There was a short program and ribbon cutting for the launch of the Bike Share Program of Preston as well.